February will see the last cold days of winter through. Although the season will still have 21 days to run, the weather is normally milder in March. With this in mind, the walks being organised by the Ramblers’ Association for February are along tracks inland, as much as possible away from exposed coastal areas, with some cultural content thrown in for spice. Valleys are targeted this month because they provide the nearness to nature that ramblers long for and enjoy. At this time of year, valleys are filled with native flora in full flush before blooming as spring approaches. They also offer cover from biting winds and the cold elements. Malta’s valleys are small but charming in their diversity of micro habitats as deep gorges open up to wider expanses of flat valley beds – about enough to relieve ramblers from the hubbub of development. Tomorrow ramblers will track the new villages around Wied Għomor, starting at San Ġwann parish church. 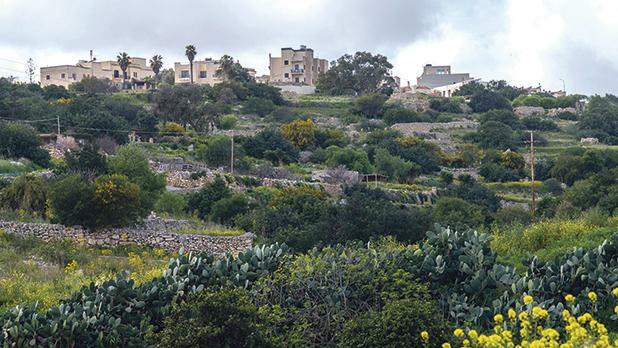 The easy to moderate walk takes ramblers along San Ġwann, Swieqi and St Julian’s, passing through Wied Għomor. Meanwhile on Sunday they will tackle a moderate walk on rough terrain with steep inclines, setting off from Xemxija Bay towards Manikata, taking some four hours. The walk tomorrow starts at 2pm, while that on Sunday starts at 9am. Everybody is invited to join in the walks. However, it is important that beginners choose an easy walk to start with and then decide on the harder walks. For further information visit the websites below or phone 9949 7080.